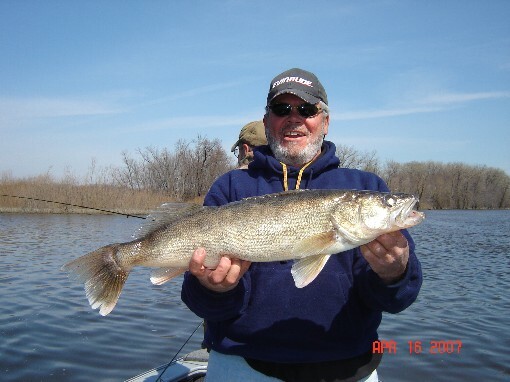 Please see the attached photo from April 16th 2007. while fishing the Mississippi River myself and two friends were jigging a “current seam” there was stained and clear water joined where the “slack water” meets the current all three of us were working a break line using 1/4 oz. jigs when the 29″ – 8 1/2# fish hit. My partner gently slipped the TS84S under her and she was photoed and released to swim another day.15 minutes later my other partner hooked a 28″ – 7 3/4# walleye with the same results. needless to say a very fulfilling day.